NOVA68 celebrates the successful relaunch of the Braun timepieces with a new Dieter Rams design; the rebirth of the classic Braun wall clock which was first introduced in the late 1960s. This wickedly beautiful modern wall clock is perfect for the modern business or the home office. 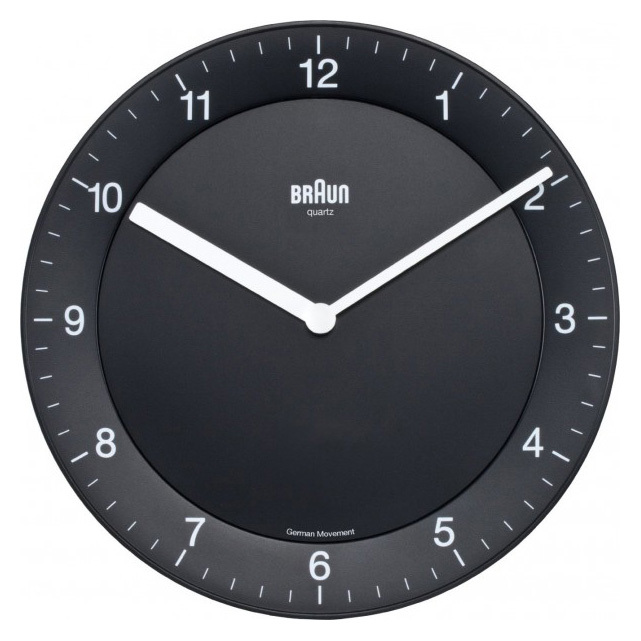 Designed to provide you with a quality and minimalist solution for your time-telling needs, the Braun clock captures the essence of the "less and more" philosophy of Dieter Rams. A pure design that is refreshingly devoid of any distractions. This wall clock is simple, functional and timeless. Plus; it's quiet and precise. What more could you ask for?